If you’re on the American east coast like me, I hope you’re staying warm! My family has hunkered down at home, as we’re expecting quite the storm today. In this week’s Sweet Reads Spotlight, I wanted to share four sweet reads that are now available from authors Joyce Alec and Audrey Adair as well as another mail order bride box set by Christian Michael. Right now, each of their titles may be downloaded for only 99 cents or with Kindle Unlimited. 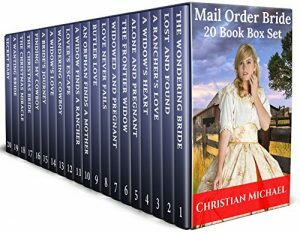 20 riveting Mail Order Bride short stories complete in one bundle by Christian Michael! This box set features brides who head West in search for love. Along the way they encounter trials and tribulations that threaten the very love they are searching for. Based in the late 1800’s at a time when being an unmarried woman was a scandalous affair these women go out on a limb to find true love… but not without challenges. This box set includes western, historical and clean romances based on good Christian values. Catherine is enamored with Lord Kerr and plans to marry him, but Lord Linton will do all he can to stop the union. Miss Catherine Hewson is enamored with Lord Kerr, the mysterious new gentleman who has come to London. 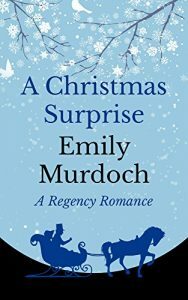 When Lord Kerr expresses his plans to marry her, Catherine feels as if she has never been happier. Lord Linton, Catherine’s childhood friend, comes back into town, but Catherine wishes to distance herself from his company. Lord Linton is a known scoundrel, who has wronged many people. But, Lord Linton will not leave Catherine alone, and her attempts to avoid him are futile. Unexpectedly, Lord Linton makes a drastic move to end the relationship between Catherine and Lord Kerr, damaging Catherine’s reputation. Catherine feels as though she will lose Lord Kerr forever, so she takes desperate measures to stop Lord Linton’s lies. Upon discovering something unseemly about Lord Kerr’s past, Catherine learns that Lord Linton may have a reason behind his actions. Can Catherine believe what Lord Linton has to tell her? Or, are Lord Linton’s actions truly sinister? 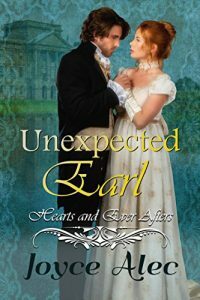 If you love clean and wholesome, Regency-era romances with a strong woman heroine and an inspirational romance story, you will love Unexpected Earl. Victoria Brighton refuses to be a pawn to to be played by her stepfather, who will stop at nothing to access her inheritance – including marrying her off to the cold and calculating Duke of Lansingberg. She escapes across the sea to the western prairies, unknowing what is ahead of her but intent that she will never again allow a man to dictate her future. Callum McDougall, future chieftan of the McDougall clan, is journeying to the North-West Territories to determine what has become of his missing cousin. Once his mission is complete, he will honor the family tradition and return to Scotland as chieftan to lead his clan. May 2018 bless you with much happiness, health, prosperity and love. Are you a New Year’s resolution setter? I plan to focus on having a better work-life balance and get back to knitting. I can’t believe I haven’t picked up a project in nearly four years! 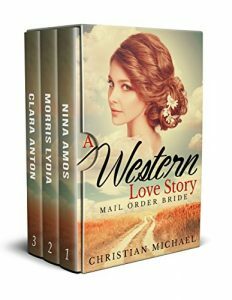 If you’re looking to settle down with some good clean reading today, Christian Michael has a 3-part mail order bride series box set available called A Western Love Story. Right now, it’s only 99 cents or it may be read with Kindle Unlimited. A 3-part Mail Order Bride series with 30 bonus Mail Order Bride short stories! Hope is never lost though when God is on your side. We hope you enjoy the box set and wish you the very best for 2018! With New Year’s Eve just around the corner, do you have anything exciting planned? I much prefer the company of friends and family at home and look forward to watching the ball drop at midnight–if I can stay awake long enough, that is! In this week’s Sweet Reads Spotlight, I have a delightful new Regency romance to share with you from Hanna Hamilton. 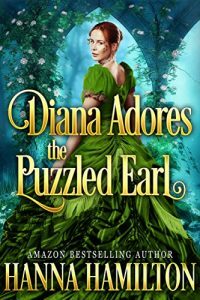 Diana Adores The Puzzled Earl is available for only 99 cents, or you may read it with a Kindle Unlimited subscription. Robert, the young and handsome Earl of Donnelly, has a great passion for writing novels but as part of the nobility, it is socially impossible for him to openly publish fiction in his own name. After much searching, he finds the young Diana Browning, a charming and well-established romance writer, who agrees to publish the book under her name. As Diana and Robert begin to work together, they find they are becoming increasingly attracted to each other. But, Diana is engaged and unavailable. However, circumstances contrive to bring many surprises, and nothing comes out as anyone quite expected. I hope you’re having a wonderful week! Christmas is almost here; are you all caught up and ready for the big day? The day after Christmas, I’ll have one last holiday mail order bride romance out, which will be the final installment of the Brides Of Weber Valley Series. Stay tuned for the news on that next week! Today, I wanted to share a few heartwarming holiday reads that are now available from authors Sophie Mays, Natalie Dean and Katie Fisher, as well as a mail order bride box set by Christian Michael. Virginia’s dream of a perfect winter wedding is about to come true. After a whirlwind life change, everything finally seems to be falling into place. Will a plan for the future and a little drama from the past get in the way of their smooth-sailing present? Or if you are engaged couple Virginia and Tristan, instead of being rational, you try to juggle them all at the same time. As Virginia plans her upcoming wedding, her sister Samantha wanders into a love triangle, and her fiancé Tristan’s family drama comes back to haunt him. Will they all make it to the chapel in one piece? Follow along as a lovable cast of characters work together to try and renovate their lives by designing new beautiful elements, and working to patch up the old broken parts. 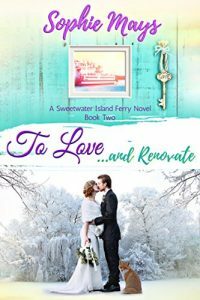 Cruise over to Sweetwater Island to join in the fun of To Love…and Renovate! A heartwarming story of navigating love, life, and family, set in author Sophie Mays’ beloved small coastal town. The Kennesaw twins are as different as night and day, but when Will Henry sees how his twin brother’s life changed after marrying a mail-order bride, he decides it’s time to move on from his lost love and find a bride of his own. From her letters she’s thoughtful and mature, just the kind of wife Will Henry wants. However, when the stagecoach arrives, the woman who steps off isn’t who anyone expected…AND she has a shameful secret to reveal. Outlaws, train robbers, good men, and opportunities all lie in the West, and lives of loneliness or perhaps unhappily arranged marriages are what await these women if they stay in the East – which doesn’t leave them with much of a choice. Though the West is wild and unsettled, there is one remarkable machine that can tie it to the refined and civilized Eastern part of the country, and that is the luxurious Locomotive 1325. Some travel West to find the love of their lives, others travel West to escape a love that will ruin their lives, but regardless of the reason, each woman discovers that the West is full of incredible dangers and unprecedented opportunities that will prove to her how strong she really is. 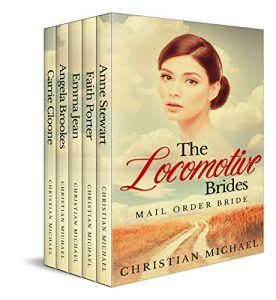 The Locomotive Brides Series follows the journeys of five different young women as they head west to find the answers they are looking for, the renewed hope they desperately need, or to embrace the opportunity to start again. From the very first book, you will be hooked on the spirits of each of these brides, unable to set your book down until you reach the end. This is an incredible series that shows the determination of each of these young women, and can be enjoyed as a full series or each as a standalone book. An Amish orphan chasing the shadows of the past. Will they lead her to love and resolution? Sarah Holtz doesn’t wish for much. All she wants to be is a great nanny for the children of the Jotters. An orphan, she has lived with the Jotters for two years now and knows what to expect from the holidays. Except, this year things turn out very differently when Alvan, the patriarch, is found murdered and Christmas is on the brink of ruins. Investigating a murder by dredging through the past is not an easy task. The more Sarah learns, the more old wounds are opened. And when the eldest son Nathan joins her, he realizes that his daed wasn’t the man he thought he was. Now, these secrets must be brought to light if the killer is going to be caught and Christmas is going to be saved. Can Sarah unlock the secrets of the past while finding love in the present? Warmest wishes for a joyous Christmas! How are things? I’ll be getting started on my annual cookie baking for the holidays, so the kitchen will be covered in flour and sugar momentarily 😉 Do you have a favorite traditional recipe? First, I wanted to stop by with news on three sweet historical reads that are now available from Regency authors Eleanor Swan and Emily Murdoch, as well as historical Western romance author Faith Crawford. Right now, each of their new releases may be downloaded for only 99 cents or with Kindle Unlimited. I’m also taking part in the Merry Christian Romances Instafreebie Giveaway, so be sure to have a look at the details on that below as well! One more thing before I head off to the kitchen: Faith-Ann and I have another holiday treat for you! 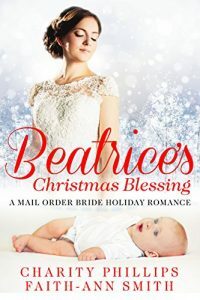 If you haven’t read it before, we’ve made our co-written Christmas mail order bride romance, Beatrice’s Christmas Blessing, free to download on Amazon through Monday, December 18. Christmas is Lady Grace’s favorite time of year. She loves everything about the holiday, but she especially loves the balls and the parties. The biggest soiree of the season is a masquerade ball, and Grace is surprised when she finds a charming gentleman, who is quite mysterious behind his mask, and dances the night away with him. After a stolen kiss beneath the mistletoe, they part ways before she can discover his name. She longs to find the masked man, but before she is able to do so, her father informs her that she is to be married. What is she to do? Will she follow through with the engagement, forgetting the man who had stolen her heart? Or will she discover the truth of his identity, and find a way to be with him? Lady Isabella Gareden is being forced to marry her father’s associate, Lord Vistley. Although her fiancé is not a bad man, he is thirty years her senior and she does not wish to marry him. Being the dutiful daughter that she is, she keeps her thoughts to herself and resigns to her fate. Then, she meets James and her world changes forever. Isabella knows their love is not meant to be, but she cannot help the affection she has for him. Her friendship with James must end, but when he gets caught up in scandal that is no fault of his own, Isabella is determined help James clear his name or risk losing him forever. Lady Edith Gillett has a large dowry, and this makes her the target for many marriage proposals—all of which she deems unsuitable. Edith wishes for love and adventure, and is not willing to settle for a man because of his wealth and impressive title. After declining numerous proposals of marriage, she finally believes she has found the man that can win over her heart. When she discovers his intentions may be deceptive, her heart is broken and she wonders if she will ever truly find the love she dreams about. But this year, the Marchwood Christmas Ball holds extra importance. 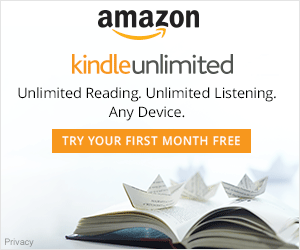 Looking to fill your Kindle for the holidays? Through December 15, you may check out the Merry Christian Romances ebook giveaway on Instafreebie! Today, I’m very excited to let you know that our very own Faith-Ann Smith has just released a compilation of all four novellas in the Nurses Of The Civil War series, and it is out now on Amazon! If you haven’t read the stories individually, right now, she’s made the entire series box set available for only 99 cents in participating stores, or you may read it with Kindle Unlimited. 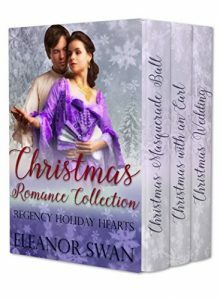 Also, if you’re looking for a holiday gift idea for friends who might enjoy our sweet historical romances, yet don’t read ebooks, this collection is available in paperback as well. 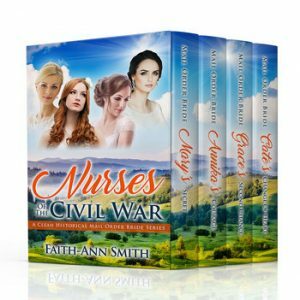 Amazon Bestselling Author Faith-Ann Smith’s Nurses Of The Civil War Series follows the struggles and triumphs of four volunteer nurses seeking a new lease on life and love after caring for our country’s wounded war heroes. 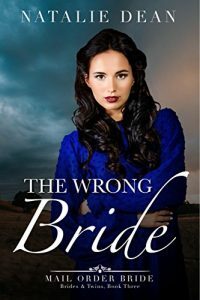 Brave and quick-thinking, Mary decides to respond to an advertisement for a mail order bride, but surely, no sensible gentleman would care to wed an already-betrothed woman. Out of sheer desperation, Mary is forced to concoct an entirely different persona for herself through her letters to Caleb Knight. But how long can Mary keep up her pretenses before the truth finds its way to the surface? Young Annika Neville bravely volunteers as a nurse in the Civil War after her father and only living relative, William Neville, takes his place amongst the Union soldiers. William isn’t leaving anything to chance, however—especially not his daughter’s happiness. So, when a strapping young Union soldier named Gabriel Cole crosses his path while serving in the War, a plan quickly takes shape in his mind. 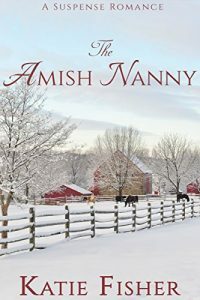 William takes it upon himself to ensure that the young man, who plans on heading West, finds his way into his daughter’s New England heart after the war comes to an end. But does father always know best, or will Annika’s own hopes and dreams for her future thwart his plan? 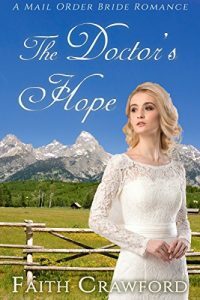 When young Grace Williams decides to courageously volunteer as a Civil War nurse in the City Point tent hospitals, little does she realize that treating her most obstinate patient yet will prove to be rewarding in more ways than she could ever imagine. Major Michael Cade demands for his injured men to be seen before himself, yet, the selfless man can barely stand, suffering from several life-threatening wounds. As his men are tended to, Grace boldly recommends a risky treatment to save his leg against the recommendation of the attending doctor, and is forced to treat the Major on her own. As the Major convalescences under Grace’s care, the two begin to form an incredibly special bond through sharing stories about their pasts. But one morning, when Grace finds the Major has been suddenly discharged from the hospital without her knowing, Grace is left heartbroken. Will her heart ever reunite with the Major’s, or will their blossoming relationship be left on the war fields forever? 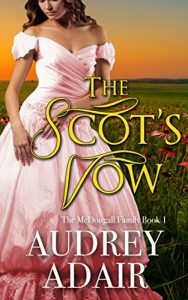 As Cate McLachlan boards a westbound train to meet her betrothed in Nebraska, the former Civil War nurse will soon learn her plans for love are about to be derailed. Her train is forced to come to a screeching halt when a group of sinister bandits decides to wreak havoc on its passengers. Cate narrowly escapes her demise when one of the outlaws captures her in a rush, throws her over the back of his horse and flees the scene. Cate quickly realizes the bullet that was intended for her missed its target, hitting her captor instead. She selflessly comes to the bandit’s aid and slowly nurses him back to health in the wilderness, but will Cate ever make it to the altar in Nebraska? Or does God have another plan in store for her?